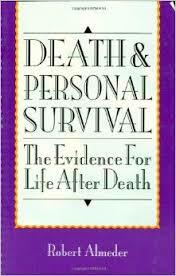 Reviewed by Daniel Kealey, Ph.D.
Dr. Robert Almeder, a specialist in the philosophy of science and a professor at Georgia State University, has written a sustained and rigorous defense of the belief in the soul’s survival of bodily death based on the empirical evidence. A chapter each is devoted to five kinds of empirical sources: reincarnation, apparitions of the dead, possession, out-of-body experiences, and communication from the dead. His careful analysis of the facts and thorough critiques of skeptical objections bring him to the conclusion that, while an analysis of a few particular cases or even of the whole field of only one of the empirical kinds of evidence mentioned above do leave a sliver of doubt on which the skeptics can hang their unbelief, a comprehensive study of the whole body of evidence provides the believers in survival a much more sound and rational basis for their belief than the skeptics have for theirs. The chapter on reincarnation receives by far the most extensive treatment (95 pages). Although each of the chapters makes for worthwhile reading, for purposes of a brief review I will confine my comments to the one on reincarnation. Focusing on Ian Stevenson’s research, Prof. Almeder defends Stevenson’s arguments for the reincarnation hypothesis, particularly against subsequent critiques of his work by skeptical humanists and parapsychologists. This chapter is required reading for reincarnationists interested in keeping up with the rational defense of their belief. The only shortcoming to be found here concerns the restricted focus on Stevenson’s research, to the detriment of the other kinds of research pursuits, such as hypnotic regression. There is, moreover, one noticeable omission in Almeder’s analysis of Stevenson’s work, namely the damaging critique of the research made by D. Scott Rogo in The Search for Yesterday (1985). Nevertheless, the case for reincarnation has perhaps never enjoyed such an exquisitely rigorous defense as is to be found in these pages. Noting Stevenson’s conclusion that it is not unreasonable to believe in reincarnation, Almeder finds it deserves to be strengthened to it is unreasonable to reject belief in reincarnation. Other parts of this chapter include a summary and defense of MacGregor’s arguments for the compatibility of reincarnation with Christianity, and reflections on the problem reincarnation poses to the concept of personal identity.